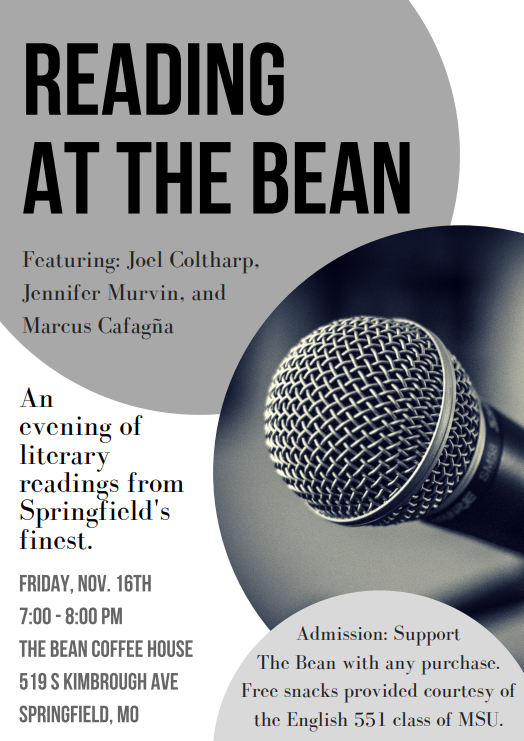 Join us this Friday, November 15th at 7pm at The Bean Coffee House for an evening of literary readings from Springfield's finest. MSU Faculty members Marcus Cafagña, Joel Coltharp, and Jennifer Murvin will be reading at The Bean this Friday. Come spend an evening with us enjoying literary readings! This event is open to the public. Admission: Make a purchase at The Bean. Free snacks will be provided.